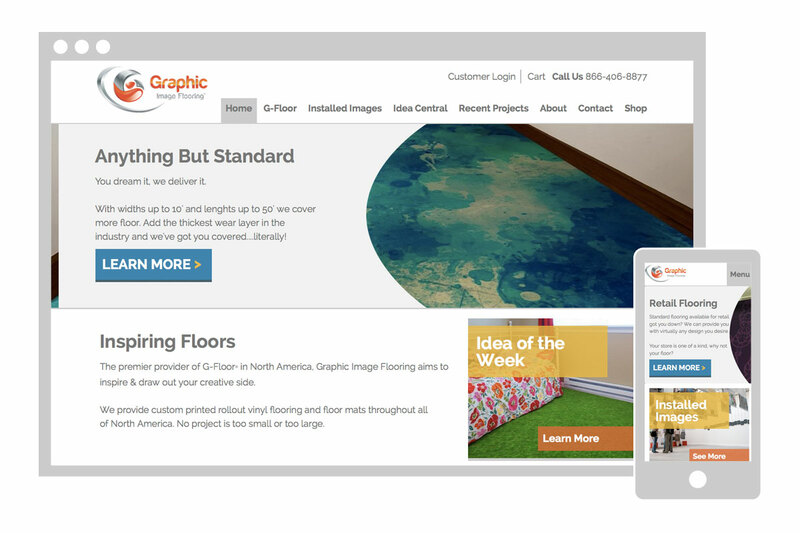 For the Graphic Image Flooring website, imagery was key. They wanted image galleries that would show the various projects that they have done, as well as an “idea central” with before and after images to demonstrate what is possible. I created a clean layout with large, clickable buttons to help demonstrate these different options. The site also features an e-commerce section. Here, the customer can browse the different products for sale and purchase them directly from Graphic Image Flooring. They can also upload their own artwork to create custom, one-of-a-kind flooring and mats.